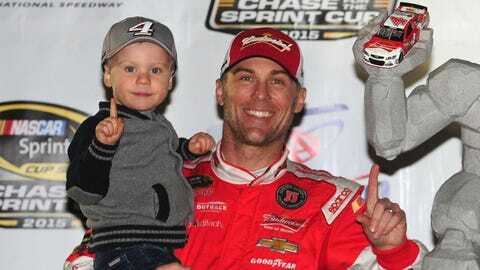 Kevin Harvick is clearly greatly admired by his son, 3-year-old Keelan. It’s certainly going to be a "Happy" Halloween in the Harvick household. Kevin Harvick’s 3-year-old son Keelan picked out his costume for the school parade. Dressing up as a lion just wasn’t working for him, so he decided to go with something a little more familiar. Keelan decided the Lion costume wasn't cutting it today for his school parade. Also asked to take his go kart. Lions are cool. But dressing up like dad is even cooler.